The ANA Show just concluded. 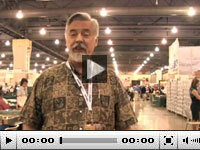 It was a great show, two different coins sold for over $1 million dollars. The ANA put on a great show and also had some great displays. Not to mention, the U.S. Mint and the Bureau of Engraving were also at the show and proved to be very popular amongst collectors. In this week's eZine we posted some links to some recent Market Headlines, make sure you check some of the stories out. Also, we added the Mint's latest sales figures. We also have a World Coin Update on ongoing projects at PCGS. And finally, we have been continuously posting a Survey of Guess the Grade at the lower right hand corner of this page. If you haven't tried it yet, give it a try and see how your grading skills are compared to other subscribers. One last thing, we are offering a FREE 10 Day Trail to PCGS Auction Prices Realized, PCGS Coin Population Report, Photos, Expert Narratives, Expanded PCGS Price Guide, Condition Census, Survival Estimates for over 30,000 coins and much, much more - ALL on PCGS CoinFacts. Try the 10 FREE Trial Now! Best wishes, to all of our Readers and please let us know if you have any questions or suggestions. PCGS CoinFacts subscribers make more from their collections, buying and selling with confidence because they have access to the world's most accurate and robust information about coins. Non-subscribers - if you are a seller, you are likely undervaluing your coins and if you are a buyer, you are likely overpaying. Don't take a risk with your money, join today! Access to photos, statistics, historical data and expert narratives for over 30,000 U.S. coins. Receive unlimited access to the PCGS Population Report, Auction Prices Realized and the Expanded PCGS Price Guide. ValueView (New) a quick, single page summary of all pertinent data related to a specific coin in a specific grade. Mobile (New): ALL the Info on Your Smart Phone. m.pcgscoinfacts.com. Subscribe to our Free Trial Offer today. A collector recently discovered a 20 year old Lincoln Cent that had a very scarce variety on the reverse design of the coin. Due to the rarity of this specific variety the coin went from being worth exactly 1 cent to over $20,000. The coin, was none other than a 1992-P Lincoln cent with a Reverse design of 1993. As soon as the collector recognized this variety on his Lincoln cent, he sent the coin PCGS to be certified and in the end, we graded it PCGS MS67 Red. The collector then put the coin up at auction on eBay, at a starting bid of 99 cents. PCGS is pleased to introduce a versatile holder especially handy for any collector who would like to showcase coins in pairs. It can be used to holder any two standard-sized coins you choose, whether it's a two-coin set like the San Francisco 75th Anniversary coins or two coins that are completely different. It's available at no extra charge vs. two standard holders. For questions on how to submit and request this new holder, please contact Customer Service at (800) 447-8848 or [email protected]. (Philadelphia, Pennsylvania) - The PCGS CoinFacts™ Coin Dealer Hall of Fame has inducted three more renowned members: David Hall, Leon Hendrickson and the late Abe Kosoff. There are now 12 members enshrined since the honor was established in 2010 by the Professional Coin Grading Service (www.PCGS.com). In each issue of eCollector, we randomly draw a name from our subscribers. The winner in this issue will receive a 1948 Uncirculated Franklin Half in a special PCGS holder indicating eCollector issue #99. Check the next issue to see if you won. Good luck! Last week's winner was Glenn Guy. Congratulations Glenn! Please send an email to [email protected] to claim your prize. View list of all past winners. Offer good while supplies last, and may be altered or cancelled by PCGS at any time. What Grade did PCGS Assign this Coin? 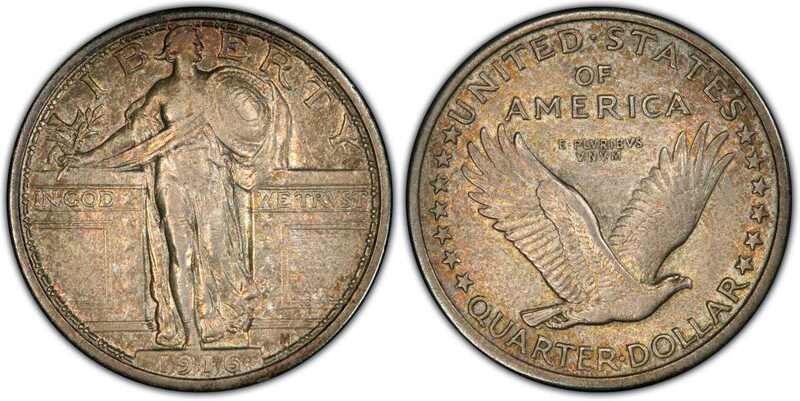 Last Week's Correct Answer for 1932-D Quarter was Fine 15.